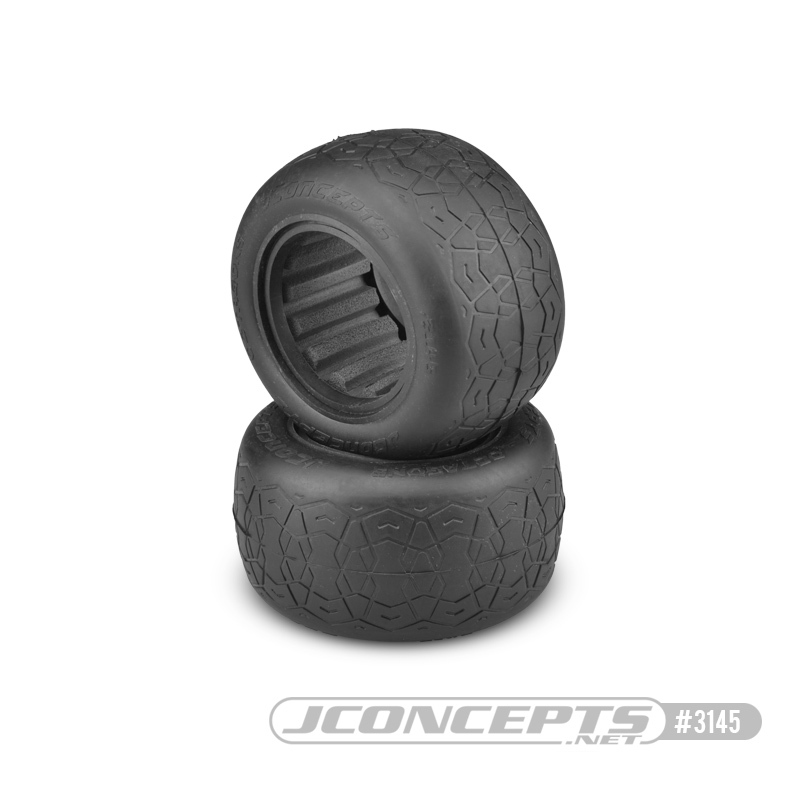 Battles can be won or lost in the “famed Octagon” and JConcepts pulled a ringer into the fight with an innovative 2.2” Stadium Truck tire. When it comes to high-bite, slick tire racing, look no further than the Octagons. At the appropriate time, and less tread is an advantage, vehicles can be tough to drive. The beauty of the Octagons lay just beneath the surface where JConcepts has removed a little surface area in the geometry based pattern. The carcass is new, slightly lower profile than JConcepts slick tires of the past and incorporates heavy X-pattern style inner ribbing for increased support. The continuous thickness carcass is light-weight and utilizes the industry standard 2.2” mounting bead. Like the name suggests, the embossed tread which is Octagon shaped is repeated and overlapped to form a subculture of grippy surface edges for dry or abrasive surfaces.